If you make consumer products, then you already know the importance of compelling package design. The color of a box, the shape of a bottle, the lettering on a label – even subtle changes can influence perceptions of quality and value and consumer buying decisions. How a product is packaged is so important, in fact, that the packaging sector is valued at more than $800 billion a year. 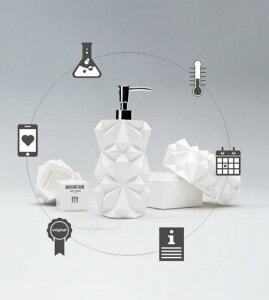 And now, with the arrival of RFID-NFC electronics, the smart-packaging industry rivals high tech companies in Silicon Valley in terms of innovation and connectivity. According to researchers Markets and Markets, the smart-packaging sector will be worth $39.7 billion by 2020, growing at a CAGR of about 5% and connecting around four billion people. Further fueling smart package growth is the rising number of consumers who carry smartphones equipped with NFC technology. Marketing intelligence firm Mintel recently listed “apps that support mobile-engaged packaging” as a top trend set to impact the global packaging industry. Smart packages have an identity, can speak for themselves, and can connect with consumers like never before. Smart packages increase efficiency within the supply chain, offer a trusted way to authenticate products, and provide better consumer experiences at the point of sale and use. In fact, with smart RFID-NFC packaging, products can follow their full product lifecycle – from source to sale – and even through the last mile, to the consumer. RFID-NFC electronics is a secure, non-intrusive connectivity technology that enables new kinds of identification, traceability, and interaction. The tags are small, thin, flexible, and battery-free. They can go just about anywhere on the package as part of the container, label, closure or even the product itself. 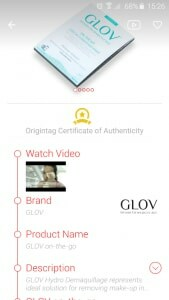 By adding an RFID or NFC tag to the package, a product package become part of the connected age, able to interact with mobile devices, connected readers, and cloud services. Self-aware. Smart packages are provisioned with a unique identifier (NFC) or EPC code (RFID), so they know who they are and can identify themselves, for enhanced control and more efficient management from source to sale. Smart packages can be tracked precisely, with help from connected readers and the cloud. At any point in the distribution chain, smart products can report where they are, where they’ve been, and where they’re going. Trusted. A smart package can verify the authenticity of its contents, so consumers can be sure what they’re buying is genuine. Packages can also be equipped with sensors to monitor environmental factors, such as temperature, so people can be confident that products that require special handling, including foods and pharmaceuticals, are safe to use. Interactive. Smart packages can also respond to questions, providing valuable information and interactions when asked. The package tag can share information that’s stored locally, or can leverage the cloud to extend the conversation and offer follow-on options. On a small package, the tag can convey or give access to extra information that wouldn’t otherwise fit in the space available. Tags can also link to more information about ingredients – where they’re from, how they’re produced – to motivate on-spot purchases, or connect users to installation instructions or service guides at the point of use. Smart packages can also create a stronger bond with the purchaser, linking to special offers, invitations to brand-related social communities and rewarding loyalty. Insightful. Every tag interaction can be captured by a tracking platform in the cloud, providing new market intelligence. Working within the legal guidelines and respecting privacy, marketing and operations teams can acquire greater insight into customer interests and behaviors. As the identification industry’s number-one supplier for smart, secure RFID-NFC technology, NXP and its value chain partners are at the forefront of smart packaging. Our solutions enable new kinds of business-to-business (B2B) and business-to-consumer (B2C) transactions, creating new consumer experiences. We offer the industry’s broadest microchip portfolio, are on the board of the Active and Intelligent Packaging Industry Association (AIPIA), and have several customers who’ve already launched smart packages of their own. Here are some interesting examples of companies that are already using RFID-NFC technology to create smart packages. The Italian food manufacturer has used RFID technology as the basis for a whole new line of products. 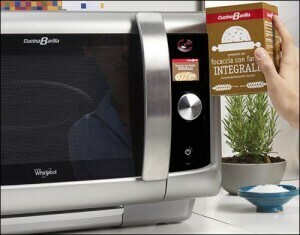 Working with appliance-manufacturer Whirlpool, they’ve developed an RFID-enabled oven that captures instructions from a passive tag, embedded in the meal’s package, then automatically mixes and cooks the ingredients. A delay function lets you schedule when cooking will take place, so you can come home from work to a fully prepared dinner, or wake up to the aroma of freshly baked bread. Barilla’s dedicated site gives details, and the NXP ICODE chips used in Smartrac’s tags for the packaging are described here. 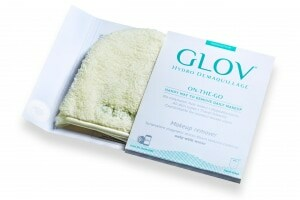 GLOV is a new fiber, consisting of polyamide and polyester, designed to remove make-up more effectively while being gentler on your skin. Developed by the Polish company Phenicoptere, GLOV Hydro Demaquillage cloths are sold in a carton equipped with NXP NTAG and software from Origintag. The smart NFC tag works with a brand app and a secure cloud service to verify authenticity, and then gives you access to extras like additional product details, a how-to video, product ratings, and social-media pages. There’s even opportunities for cross-selling via opt-in push notifications. 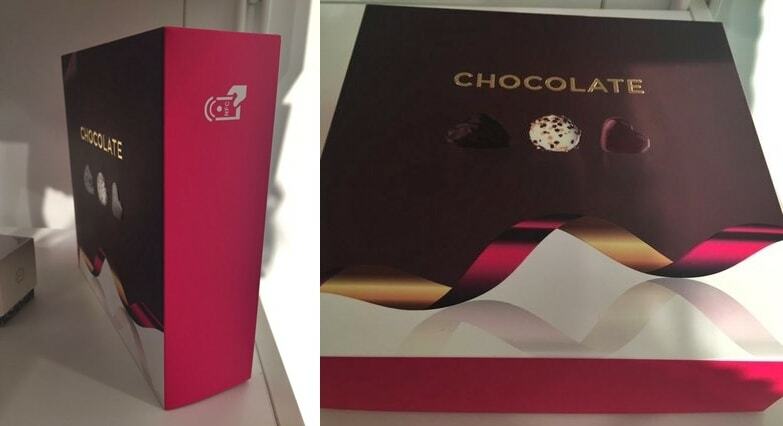 The Scandinavian company Stora Enso, a leader in innovative and sustainable paper packaging, offers smart boxes for chocolate. Equipped with NXP NTAG technology from NXP, the boxes let you use an NFC phone and a brand app to access extra product information, storage recommendations, and social media. Outer boxes are also available with tamper-evidence seals and monitoring sensors that log ambient temperature and check for boundary excursions from source to usage, so anyone – inspectors and consumers alike – can scan the tag and confirm that the chocolates inside have been properly handled and offer optimal quality. MouTai liquor, which is named for the town where it was originally distilled, has a very long history in China. It’s usually saved for special occasions and often given as gifts, and, because of its unique reputation and higher price, is a target for counterfeiters and illicit trade. The bottles now come with RFID (HF)-tagged closures, which serve to verify authenticity and provide traceability from source to sale along the supply chain. In stores, consumers can also tap their NFC phone against the bottle to make sure the product is genuine, and gain access to extra product information. The RFID tags are supplied by NXP’s integration partner Techsun Group, and built using NXP ICODE chips, which offer a read range from a few centimeters up to one meter. Have you used a smartphone to interact with a smart package? How do you think smart packages will make life different? Will they influence your buying decisions or make you a more savvy consumer?